In his own words: Driven and motivated security leadership professional with a background in application security. Focused on proactive security policy, processes and tools to help end the cycle of “security whack-a-mole” that exists in the industry today. I’m a big believer that the key to designing effective security programs starts and ends with understanding the business objectives, challenges, risks and constraints of the business – then working to design a lightweight security program that is not only aligned with the business, but builds and supports the business in achieving operational objectives. In addition to designing and building effective security programs, my other passion is building security teams and professionals. Guiding, mentoring and building technical and personal skills is key to the success of any security program – and something that no amount of money spent on tools and products can make up for. A proven and respected business leader and executive advisor in the defence, security and IT sectors, with a reputation for delivering tangible financial and operational improvements. Strong leadership experience in both SMEs and in managing substantial P&Ls, programme budgets, and large global teams. Expertise in strategy and transformation: formulating and executing optimal go-to-market strategy and operating models at corporate, business unit and product/service level. Experience across multiple sectors, including: Government organisations, Blue-Light Services, defence and security suppliers, IT suppliers, professional services, financial services and other critical infrastructure sectors. Focused for the past 10 years on information management and cyber security, developing and executing market entry and growth strategies for suppliers, as well as internally-facing information management, risk and security frameworks and functional target operating models. 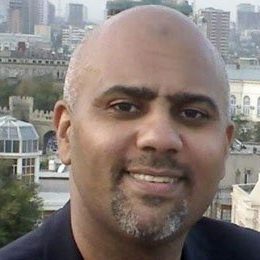 A regular contributor and author of blogs and articles in leading publications on the subjects of strategy execution, risk management, and information / cybersecurity. Kavya Pearlman is the Information Security Director at Linden Lab; protector of two virtual world economies, Second Life and the latest social VR platform called Sansar. Prior to Linden Lab, Kavya advised Facebook Information Security Team on mitigating Third Party Security Risks. Kavya graduated from DePaul University, Chicago with a Masters in Network Security and holds a CISM (Certified Information Security Manager) certificate from ISACA. Kavya is also certified PCI-DSS ISA (Internal Security Assessor). Kavya Grew up in India and came to the United States in 2007. She proudly uses the freedom this country offers, being a Hindu born Jewish woman who converted to Islam. Besides Security Kavya’s other passions are VR (Virtual Reality) and learning about virtual economies including cryptocurrencies. Jane Frankland is an author, speaker and entrepreneur. 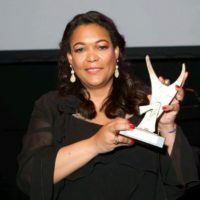 In 2017, she was named as the 3rd most influential person in cybersecurity in the UK, and the Diversity Champion winner at Cyber Security Awards. As the Founder of Cyber Security Capital, a coaching, training and membership firm, she specialises in high performance for leaders and entrepreneurs in security, at all levels. 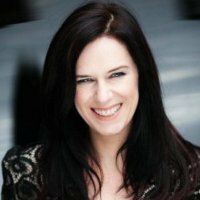 Jane has over twenty years worth of experience in cybersecurity, has built and sold her own global, multi-million dollar hacking firm and held executive positions at renowned consultancies. Over the years she has launched, created and been actively involved in numerous leading accreditation organisations, forums and schemes including OWASP, CREST and Cyber Essentials. She currently serves as an awards judge for several organisations in Europe and the USA, and as a Board Advisor for C-levels. She authors many articles, is featured in industry and iconic British media, and is sought after as an international keynote speaker. Jane is driven by her three children, an obsession to deliver outstanding quality and to make a positive difference in the world. Believing passionately in freedom, empowerment and entrepreneurism her vision is to build a safer, more secure world by growing and enabling diverse, relevant talents in cybersecurity. 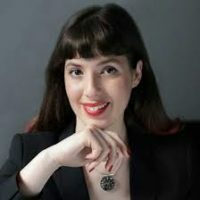 It’s why she authored her best-selling book, IN Security: Why a failure to attract and retain women in cybersecurity is making us all less safe, and created the IN Security Movement and Members Club. Based on his extensive knowledge of Enterprise and Information Security he has worked as a volunteer in many senior roles for ISACA and been actively involved at Govt level. He is a CTO & CISO and is well known for speaking, writing and contributing to many events and publications. 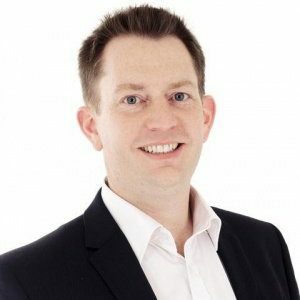 He speaks and Chairs many security events which have included IFSEC since 2009 with James Willison, ASIS International, on Converged Security Management, the Noord CISO Dialogue (17 times), ID Management, ESRM. He also regularly chairs executive dinners for event companies as a knowledgeable independent chair. Sarb has sat on the following Judging Panels (SC Awards three times; IFSEC Awards four times; FSTech Awards once; Trailblazer Awards six times). 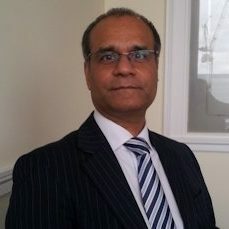 He has contributed to several security standards including the ANSI ASIS Physical Asset Protection Standard 2012, and publications in Information Security Magazine and Risk UK. He was an active member of the IET Intelligent / Smart Buildings Resilience project and brought his expertise to this pioneering group. He is now leading a whole new approach to IFSEC 2018 with Gerry Dunphy and James Willison. Together they will bring the first Converged Security Centre to an International Security event to showcase cyber physical attacks on organisations in a real time environment. Sarb’s membership / roles / affiliations are: Past Chair of the ISACA London Security Advisory Group; Past-President of the London ISACA Chapter; Chair of ISACA International Government & Regulatory Advocacy Committee; ISACA Relations Board; ISACA Cloud Computing Task Force; Secure Software Development Partnership; Editorial Board member of InfoSecurity Magazine; Individual member of PITCom (Parliamentary IT Committee). Sarb’s specialties: Networked CCTV System Vulnerabilities, Converged Security Risk Management, Secure Software Development (Secure by Design), Software Development Standards, Data Integrity Attacks, Protecting the people responsible for Critical Business Assets. “Sarb continues to demonstrate his commitment to bringing all security professionals to a deeper understanding of the complex risks they face and through helping them see the diversity of these threats he also helps them understand the best response. Tammy has 30 years of experience and is noted by her peers to be a results-driven and passionate executive leader with expertise envisioning and leading Information Security, Cyber Security and Technology focused organizations. She is a career CISO and a well-known member of the CISO community. 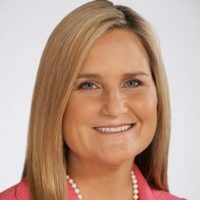 Tammy is currently working for Accenture as Managing Director/Senior Security Executive of Security products where she is leading, building and scaling some of the most powerful security offerings ensuring High Performance – Delivered. She previously was the CIO & CISO for Venafi and lead their Executive advisory board. She has also served as the CISO at Time Warner Cable and The Home Depot. Over the last several years Tammy has dedicated her career to guide fellow CISO’s worldwide to help them defend their organizations from cyber threats and attacks. Tammy has driven and moderated numerous CISO dinners and speaking engagements around the world to generate and encourage information sharing within the CISO community. Amongst the many areas she is involved in, she is Distinguished Fellow with the Ponemon Institute and volunteers her time with many organizations she is passionate about, including advisors to ISACA, ISSA and MIS|TI. Her passion on security and leadership expertise has been in quoted, interviewed and written about in articles, newspapers, magazines and on radio around the world, including FORBES “Meet the Woman Powering the Fight Against Cybercrime” and the cover of CSO Magazine. Tammy is also currently an editorial advisor to EC-Council’s – CISO Magazine. She has a blog on CSO-online “Queen of Candor” which is also her twitter handle. Tammy is certainly a sought after global speaker, not only on security, technology and governance, but also about career building, women in technology and leadership mentoring. She is enthusiastically involved with SheLeadsTech™ focused on getting more women in technology leadership roles and the technology workforce. She volunteers her time whenever she can to educate those on security – and speaking at schools to let them know “Security is Cool”. She also gives back by providing an annual scholarship at the high school she graduated from toward their education in Cyber Security. Tammy continues to provide strategic guidance to other industry leading security vendors where she is currently a company board advisor to Attivo Networks and Venafi and was previously an advisory member of Box and Qualys. Tammy has had numerous accolades/awards in her career and continues to drive excellence in everything that she gets involved in. She is the Kevin Bacon of Security – “The Six Degrees of Tammy Moskites”. Most everyone knows her, heard her speak or has been fortunate enough to work with or for her will tell you, you can hear her passion, she truly loves what she does – every day! He was appointed an Officer of the Order of the British Empire (OBE) in the 2017 Birthday Honours for services to cyber security. In 2018 he received an “Outstanding Contribution to Knowledge Exchange” at the Scottish Knowledge Exchange Awards. One of his most recent achievements is the creation of a Blockchain Identify Lab and which is one of the first of its type in the world, and has significant industry funding. 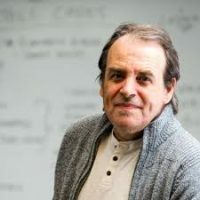 He leads the Centre for Distributed Computing, Networks, and Security at Edinburgh Napier University and The Cyber Academy (http://thecyberacademy.org). His main research focus is around information sharing, IoT, e-Health, threat analysis, cryptography, and triage within digital forensics. This has led to several World-wide patents, and in three highly successful spin-out companies: Zonefox (zonefox.com); Symphonic Software (www.symphonicsoft.com/); and Cyan Forensics (cyanforensics.com). Bill regularly appears on TV and radio related to computer security, and has given expert evidence to both the Scottish and UK Parliaments. He has been named as one of the Top 100 people for Technology in Scotland for in every year from 2012 onwards. Bill was also included in the FutureScot “Top 50 Scottish Tech People Who Are Changing The World”. 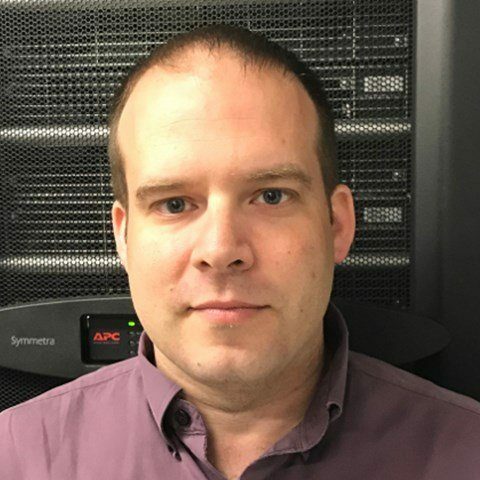 Recently his work on Secret Shares received “Innovation of the Year” at the Scottish Knowledge Exchange Awards, for a research project which involves splitting data into secret shares, and can then be distributed across a public Cloud-based infrastructure. He was included in the JISC Top 50 Higher Education Social Media Influencers. His current work focuses on the secret share methods, and especially in how documents can be stored securely in public cloud based systems. The current cryptography work around secret shares has won several awards, and is the basis for new funded work. This is further enhanced with work around sticky policies and identity based encryption, and which aims to integrate access rights on document within public cloud systems. This includes the storage of high risk documents, such as health care records and financial information. Along with this he has new research work which integrates machine learning into insider threat detection, and within side channel analysis on embedded systems. Abdul-Hakeem Ajijola is Executive Chairman, Consultancy Support Services, a Cyber Security & Information Communication Technology (ICT) Consultancy Firm in Abuja. He was a former Senior Special Assistant Innovation & Technology to the National Security Adviser to the President of Nigeria. Pete Cooper is an independent cyber security adviser based in London, United Kingdom (UK), and a nonresident senior fellow at the Atlantic Council’s Cyber Statecraft Initiative. He has an MSc in cyberspace operations from Cranfield University. His dissertation on adding a cognitive dimension to active cyber defense was published by the Journal of Law and Cyber Warfare and explored how a better understanding of attacker psychology could be used to augment legal active cyber defense methodologies. He is also a certified information systems security professional (CISSP). Since leaving the RAF in 2016 he has been advising nationally and internationally on cyber security challenges and opportunities, supporting various organizations in developing their strategies. He is also a passionate supporter for the Cyber 9/12 policy and strategy competition, which has seen him present and judge at competitions in both the United States and Europe. As director of Cyber 9/12 UK, he is also leading the rollout of the competition in the UK. 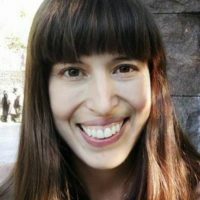 Tanya Janca is a senior cloud developer advocate for Microsoft, specializing in application security; evangelizing software security and advocating for developers through public speaking, her open source project OWASP DevSlop, and various forms of teaching via workshops, blogs and community events. 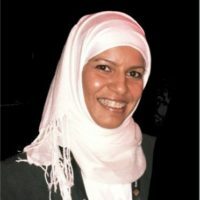 As an ethical hacker, OWASP Project and Chapter Leader, software developer, effective altruist and professional computer geek of 20+ years, she is a person who is truly fascinated by the ‘science’ of computer science. “Tanya Janca has been working extremely hard over the past few years to bring more attention to security in web applications, a topic that seems to dismissed in the media recently with breached being quickly forgotten. She’s clearly very passionate about software security, having spoken at conferences and meetups in Europe, the United States and Canada, raising awareness for security practitioners and developers alike, about software security and hacking basics, as well as how security and developers can work together better (on an enterprise level). Her countless hours of volunteering show a real dedication to changing things for the better. As an added bonus, she’s also been doing active outreach to try to encourage women to participate more in security by planning separate ladies-only events in various cities, and “crashing” local events in Ottawa with the Ladies Code meetup so that none of them have to be “the only woman there”. “Tanya is an extremely keen and energetic speaker and advocate for IT Security (and Web Application Security in particular). I’ve seen Tanya speak on numerous occasions on different topics and her enthusiasm is contagious. She is widely engaged in the IT Security industry: co-leading the Ottawa OWASP chapter, co-leading a newer OWASP project (DevSlop), taking part in WIA, presenting on IT Security topics to generalist IT groups and chapters, presenting at conferences globally, taking part in CTFs. Tanya gladly shares her ideas and insights with other open source project groups whether those are documentation or software projects. She has helped setup mentorships locally and encouraged others to do so internationally. All of this culminates to make her a great (top) IT Security influencer. Mary-Jo de Leeuw is an Associate Partner and Cyber ​​Security / Innovation lead at Revnext. Mary-Jo de Leeuw has been fascinated by the world of 0-len and 1-nen from childhood. She played bloody with her Commodore 64 until she did not exchange it much later for the next “toy”: a Nintendo. In the last 25 years she has tried out, researched, manipulated and hacked virtually all the digital toys that are available. It is therefore not surprising that Mary-Jo (with appropriate nickname Mario) is the founder of the platform ‘Internet of Toys’. This platform is committed to standardization and quality marks of connected toys, issues on the cutting edge of laws and regulations and privacy issues. She regularly publishes about this in various media. Mary-Jo de Leeuw loves tough discussions and likes to criticize the social (disorder) order because she thinks that, in the places that really matter to make the Netherlands digitally safer, Mary-Jo is also founder of the Women in Cyber ​​Security Foundation and initiator of the Cyber ​​workshop. In 2017, the Women Economic Forum proclaimed ‘Iconic Leader’ and elected Ethnic Businesswoman of the Year in the category ‘Entrepreneur’. “She banned out Internet of Toys out of the Dutch stores by proving that connected toys are eavesdropping and recording all kinds of conversations within peoples homes: it is therefore not surprisingly that Mary-Jo founded the Dutch think tank Internet of Toys. A think and do tank where scientist, toys manufacturers and members of parliament meet and discuss the breaches within toys and also the lack of privacy legislation within it. Keren Elazari is an Israeli-born cybersecurity analyst and senior researcher at the Tel Aviv University Interdisciplinary Cyber Research Center with an emphasis on hackers and technology and their social implications. Her research interests include issues of hacktivism, information and cyber punk. Keren’s research topics have been concerning the future of Cyber Security, Cyberpunk, Global Hacktivism, Innovation and Creativity learnt from Hackers, Biohacking and more. Her research works and writings about cyber security have been featured by Scientific American, WIRED, CNN, DEFCON and NATO, among others. In 2014 Keren Elazari became the first Israeli female to give a TED talk. In her talk Elazari claimed that by exposing vulnerabilities, hackers and hacktivists push the Internet to become stronger and healthier, wielding their power to create a better world. Her speech was selected as one of TED’s most powerful ideas in 2014. His nomination: “Daniel is an evangelist for useful standards and good practice. He nurses organisations through ISO/IEC 27001, and was awarded a PhD for his work in information systems risk. Daniel is a Fellow (and founder member) of the Institute of Information Security Professionals. Before his current roles, Daniel was at The National Computing Centre for 22 years. He was architect of DTI’s Towards Software Excellence programme, created the core of the original SANS training for BS 7799, edited the UK’s first national security breaches survey at NCC, and wrote the first international standards for source code escrow. “Daniel’s contribution to new risk management guidance from the National Cyber Security Centre has been noted, and he is an active member of Information Assurance Advisory Councils North West cohort (and created its Northern Academic Liaison Panel). Daniel is also active in the Yorkshire Cyber Security Cluster and most recently revived The Ratio Club (an academic thought leadership group in which Alan Turing had participated). Daniel is now part of the Infrastructure and Academic Advisory Groups for the Greater Manchester Combined Authority’s aspirations for resilient, cyber secure, digital community and economy. 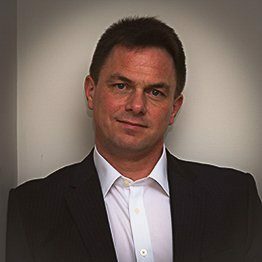 “His consultancy work spans public, private, and third sectors and varies from identifying the vulnerabilities (and how to fix them) of a small firm with responsibility for 7 million personal records to writing a definitive guide to cyber resilience for local government (on behalf of SOCITM). He has contributed to books, conferences, and appears on the BBC to explain the risks and opportunities of information systems to the wider community. Matt Bishop received his PhD in computer science from Purdue University, where he specialized in computer security, in 1984. He was a research scientist at the Research Institute of Advanced Computer Science and was on the faculty at Dartmouth College before joining the Department of Computer Science at the University of California at Davis. 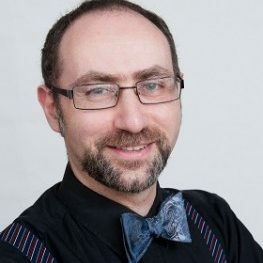 His main research area is the analysis of vulnerabilities in computer systems, including modeling them, building tools to detect vulnerabilities, and ameliorating or eliminating them. This includes detecting and handling all types of malicious logic. He is active in the areas of network security, the study of denial of service attacks and defenses, policy modeling, software assurance testing, and formal modeling of access control. He is interested in electronic voting, was one of the members of the RABA study for Maryland, and was one of the two principle investigators of the California Top-to-Bottom Review, which performed a technical review of all electronic voting systems certified in the State of California. He is active in information assurance education. His textbook, “Computer Security: Art and Science”, was published in December 2002 by Addison-Wesley Professional. He teaches introductory programming, software engineering, operating systems, and (of course) computer security. Demonstrated excellence in executive leadership; leading change; developing high performing teams; managing innovation; bringing strategic foresight and delivering risk assessments to leaders at highest levels of public trust; and building international coalitions and partnerships. Through her leadership roles as ISACA’s International chairman of the board, as a member of the AICPA board of directors, and as a founding member of the IIA’s American Center for Government Auditing, Terry has helped to advance the information technology, governance, internal auditing, and accounting professions and speaks globally on a variety of topics, including internal auditing, leadership, and cyber security. “Joyce Brocaglia has displayed exemplary vision and leadership in the field of cybersecurity by placing Chief Information Security Officers and building world class, diverse teams. She has also dedicated her career to advancing women leaders in cybersecurity. Joyce successfully runs two businesses simultaneously. Alta Associates, which she founded in 1986, is the leading executive search firm specializing in Cybersecurity. It is almost unheard of for a self-funded recruitment firm to thrive for over 31 years, but under Joyce’s leadership Alta Associates continues to do so and was listed by Forbes as one of the Top 100 Recruiting Firms in 2017! “The Executive Women’s Forum that Joyce founded celebrated their 15th anniversary in 2017 as the largest member organization that engages, develops and advances women in cybersecurity. Joyce is not only a leader of the two companies she founded, she is considered one of the foremost leaders in the cybersecurity industry regarding workforce and women’s leadership issues. Joyce is the kind of leader that is authentic, approachable and generous with her knowledge and network. “Joyce is truly a visionary in creating companies, engaging and developing leaders and creating programs and events that benefit individuals, corporations and the nation as a whole. Joyce had the vision to create a specialty of cybersecurity recruitment at the time that information security as a field was in it’s infancy. When the Russians hacked into Citibank in 1994, Alta Associates built the first ever information security organization and we they been placing Chief Information Security Officers and the teams that support them ever since. “Joyce also had the vision to create an organization for women in cybersecurity at a time when no such thing existed! Joyce is a pioneer who has cared about women in our field long before others considered it. Joyce has given a voice and a community of trust to women in Security through the EWF. Joyce has created scholarship programs that have given 12 scholarships for Master’s Science degree to Carnegie Mellon, and PhD scholarships to University of Missouri and Purdue University as well as 100 Black Hat Scholarships to students In 2017 Joyce hosted a historic Women in Cybersecurity on Capitol Hill Public Private Symposium attended by 125 executive women. It is almost unheard of for a self-funded recruitment firm to thrive for over 31 years, but under Joyce’s leadership Alta Associates continues to do so and was listed by Forbes as one of the Top 100 Recruiting Firms in 2017! 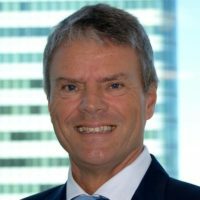 Troels Oerting, Group Chief Security Officer & Group Chief Information Security Officer at Barclays has been appointed 2017 Chairman of the Board at the Global Cyber Alliance (GCA). The GCA is an international, non-profit organisation dedicated to confronting cyber risk and improving our connected world. Oerting joined Barclays in 2015 and is responsible for protecting and enabling the organisation’s privacy and security across all platforms. He has deep experience in cyber security in both law enforcement and the private sector, holding various senior leadership positions with the Danish Police, including Director of Danish NCIS, National Crime Squad, SOCA and Director of Operations in the Danish Security Intelligence Service. He also spent 11 years at Europol. 3. 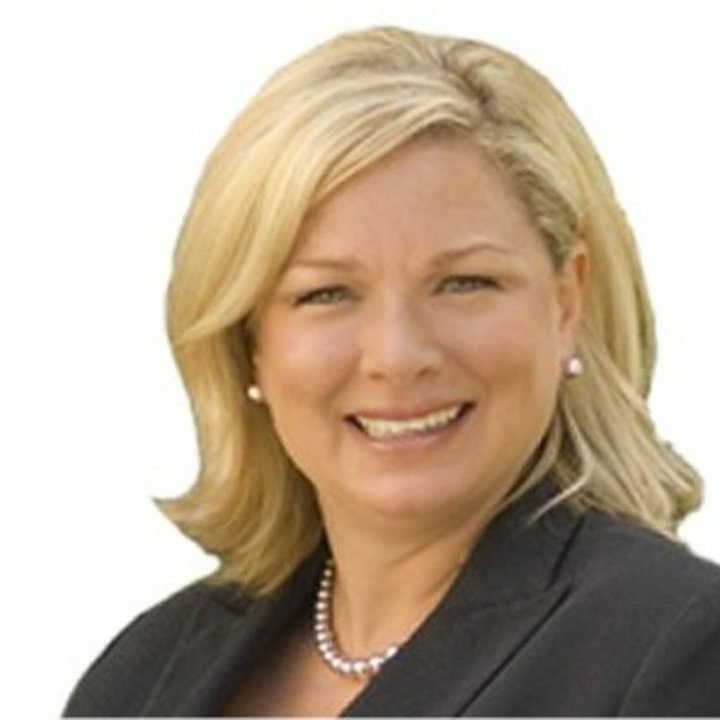 Marci McCarthy, CEO and president, T.E.N. 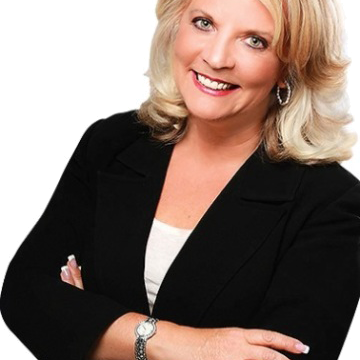 Her nomination: Marci McCarthy is the CEO and President of T.E.N., an award-winning, woman-owned relationship-marketing company bringing information security executives and solution providers together through face-to-face events across the country. She is a driven, hardworking leader who dedicates all of her time and effort toward aiding the success and growth of the leaders and the up-and-comers in cybersecurity. It’s this attitude and spirit that has made T.E.N. the foremost provider of targeted, executive-level events for the industry throughout North America. Marci has done an incredible amount of work throughout her career to uplift the information and cyber security industries, such as founding T.E.N.’s Information Security Executive® of the Year (ISE®) Program Series, which many in the IT industry consider the premier recognition and networking program for security professionals. Marci also launched ISE® Talent, which specializes in the searches of executives and professionals in high-demand security industry skill-sets and specializations. In addition to T.E.N., Marci endeavors to cultivate leadership, success, and growth in the cybersecurity industry. In 2016, Marci and the ICMCP created the Marci McCarthy Cybersecurity Certification Scholarship Program, providing $5,000 over two years to help women and minority students advance in cybersecurity and obtain certifications. She then joined the Atlanta Girls’ School Board of Trustees to contribute her extensive knowledge in leadership and cybersecurity to cultivate young girls’ minds and futures. 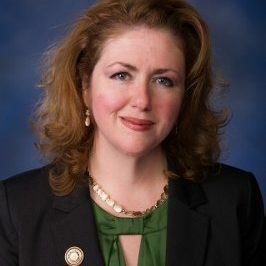 In 2017, Marci was named the Inaugural Advisory Board Chair for the NTSC, a non-profit, non-partisan organization that drives the national dialogue on technology security in the U.S. Marci is a sought-after speaker and moderator at a plethora of events focused on information security, STEM topics, women in security, and more. She endeavors to spread education and experience throughout these industries so they may grow and succeed to the fullest extent. Chuck’s a preeminent thought leader on cybersecurity and emerging technologies. LinkedIn named Chuck as one of “The Top 5 Tech People to Follow on LinkedIn” out of their 500 million members. He is also an advisor to LinkedIn on cybersecurity and emerging technology issues. Chuck has published more than 150 articles and blogs on cybersecurity and technology issues and is a frequent featured speaker at conferences. Chuck has also judged five Government Security News Homeland Security Awards. In both 2017 and 2016, he was named “Cybersecurity Marketer of the Year by the Cybersecurity Excellence Awards. 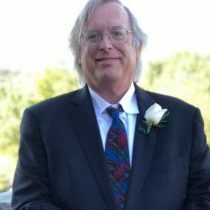 Chuck’s professional industry affiliations include being the Chairman of CompTIA’s New and Emerging Technology Committee, and as a member, Electrical and Electronics Engineers IEEE Standards Association (IEEE-SA) Virtual Reality and Augmented Reality Working Group. He is on the Advisory Board, Center for Advancing Innovation, and has also served as a Technology Partner Advisor to the Bill and Melinda Gates Foundation. Chuck has served in government at The Department of Homeland Security (DHS) as the first Legislative Director of The Science & Technology Directorate at the Department of Homeland Security. He served as a top Advisor to the late Senator Arlen Specter on Capitol Hill covering security and technology issues on Capitol Hill. Earlier in his career he served a Special Assistant of the Director of Voice of America. He also was an Auxiliary Police Officer for Arlington County , Virginia. Chuck was also an Adjunct Faculty Member at Johns Hopkins University where he taught a course on Homeland Security and Congress. 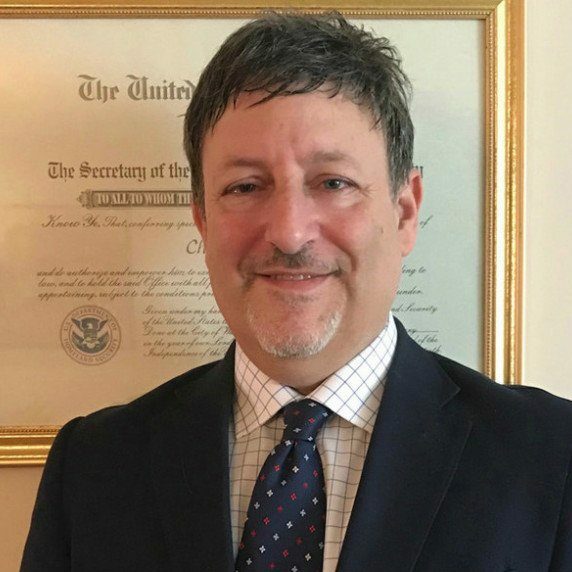 He has an MA in International relations from the University of Chicago, a BA in Political Science from DePauw University, and a Certificate in International Law from The Hague Academy of International Law. 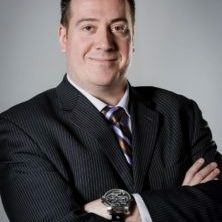 As a multiple award-winning information security strategist for almost 20 years, Mr. Cutler has advised some of Canada’s largest companies on how to prevent and remedy internal and external security penetration. For the general public, he developed an effective online learning program arranged in modules and updated regularly to keep up with the rapidly changing digital landscape in which “wild-west” internet bandits constantly seek and find ways to break into our lives. “His ability to connect with his students and his talent at teaching simple concepts, as well as more advanced topics, are both truly superior. Terry is passionate about helping others and educating the public about a real and present danger. He is caring and down-to-earth. He’s willing to chat with you to find out how he can best help you. “Terry has an Incredible track record and dedication to Cybersecurity, he exemplifies what are the best practices and approach to securing a company’s vulnerabilities. “He is just fantastic at what he does. I had the opportunity to meet with him when I got frauded in one direction ticket scam and he was so helpful. He tried to help me in everyway possible. Congratulations to all the recipients especially Mr Abdul-Hakeem Ajijola. Its a long overdue recognition considering his support, dedication and contributions to the ICT and Cybersecurity. Congratulations AhA as you set the pace for others to follows. This is a well deserved recognition. I’m proud of you. Proudly Nigeria. interesting – any slides or video available after the event? Congratulations @Terry Cutler, @Chuck Brooks, for being ranked #1 & #2 on the IFSEC Global Influencers 2018: Cybersecurity. I also congratulate @Rob Labbe, @Colin Lobley and others on the list. It is no mean achievement to be among the world top twenty. The world owes the current high standards in cybersecurity to your great efforts.